Barcode Equipment Rentals | Barcotech Philippines Inc.
Softwares | Barcode Label Designer | Barcotech Philippines Inc. Printer, Scanner Repair and Maintenance | Barcotech Philippines Inc.
Buying barcode scanners, printers and computers isn’t the only way to obtain a data collection system – for companies that need a more flexible approach, Barcotech offers a diverse range of rental services to meet our customers’ seasonal, short term rental needs for barcode scanners, computers and printers. If you are not ready to make the investment into barcode equipment, Barcotech can help meet your data collection needs with rentals for trade shows, special projects, transitions and a variety of other requirements. We have years of experience renting units to warehouses, manufacturers and events organizer companies.With you can be sure that we will help you find an easily integrateable solution. Our dedicated team is there to support you and your workers with every rental and purchase you make from Barcotech. We are here to answer your questions, train your employees and help with repairs, servicing or replacement of your existing legacy units. 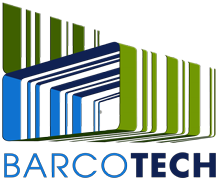 © 2017 Barcotech. All Rights Reserved.